Throw this Christmas I Spy Bottle into your bag to bring along with you this holiday season! We bring ours out and play with it most days. I’ve also grabbed it to bring along when I need a quiet activity to keep the kids occupied. Christmas decorations – plastic small ornaments, gingerbread men, candy canes, red, white, and green pompoms or pipe cleaners, jingle bells, gift bows, tied red ribbons. Fill the bottle about halfway full with your decoration items. Then add in the rice – leave enough room so that the items you want to play I Spy with are able to move around. 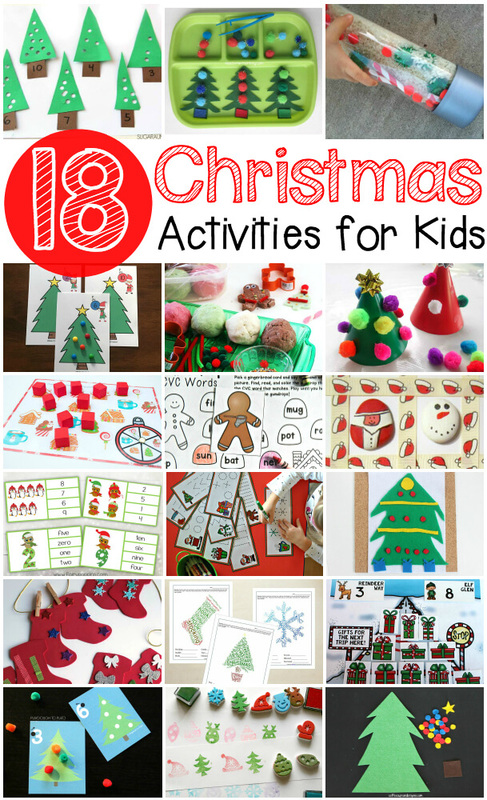 Looking for more Christmas Ideas for Kids? Check out the links below!